Lock in Category 7 prices at hotels that are about to move into Category 8. 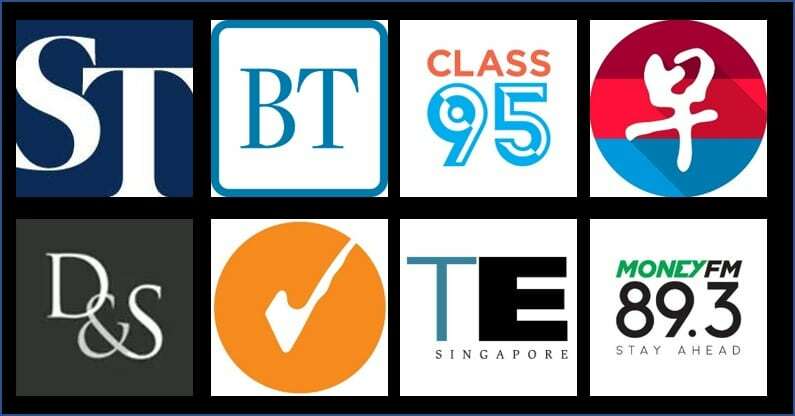 On 5 March, Marriott will be making its annual category changes to its hotel portfolio. 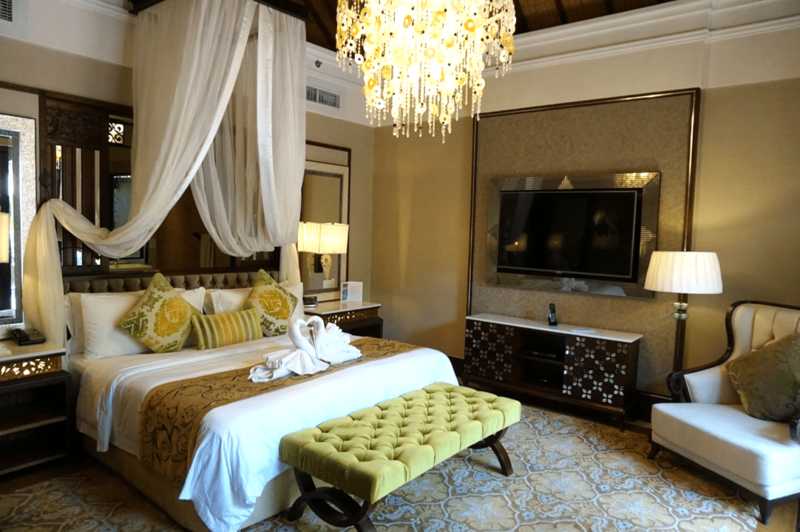 The biggest change will be that some of its most luxurious properties will be moving from Category 7 (60,000 points a night) to Category 8 (85,000 points a night), a 40% increase in cost. Needless to say, most people are eager to snag award nights at these hotels before the changes set in. There is some good news: One Mile at a Time, View from the Wing and TPG have confirmed separately with Marriott that Points Advance bookings do indeed allow members to lock in existing pricing for payment later. What is a Points Advance booking? In simple terms, a Points Advance booking is a “bill me later” option. You get to lock in your dates and pricing, and the points are only deducted from your account 15 days before you stay. You’d think that such a system would be prone to abuse, in that members could make tons of speculative bookings with no intention of fulfilling them. You’re not wrong, and I’m sure there are some who do this. However, when used responsibly and in moderation, Points Advance bookings are your best way of dealing with the impending Category 7 to 8 increases. 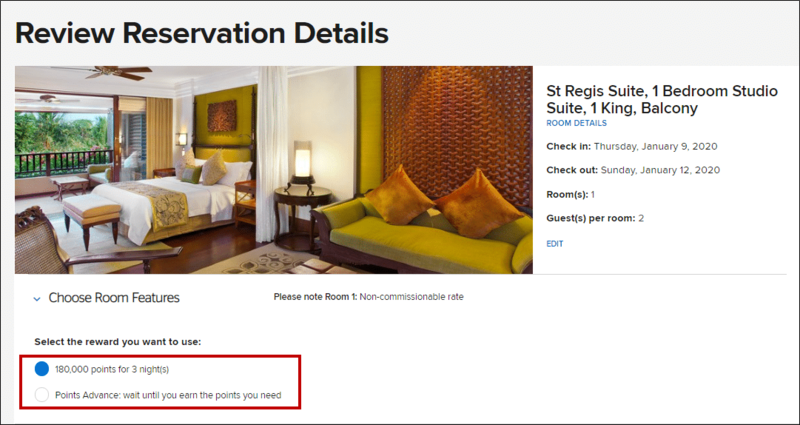 Making a Points Advance booking is really straightforward. Suppose I want to lock in a 60,000 per night rate at the awe-inspiring St Regis Bali, because that’s going up to 85,000 per night come 5 March. Wait until I “earn the points I need” before the points are deducted. You see that even though I already have sufficient points, I can still choose the Points Advance option. 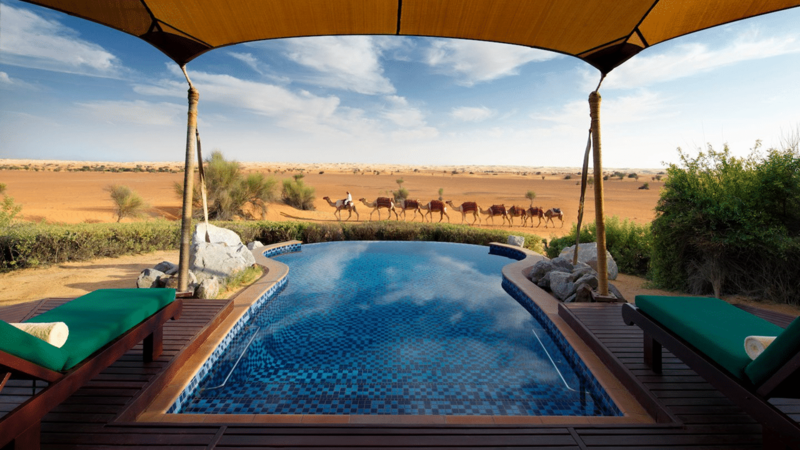 By choosing this, no points are deducted from my account now, but the reservation (and more importantly, existing 60,000 per night rate) are locked in. After choosing the Points Advance option, I’ll get the usual confirmation screen. Subsequently, I can view my Points Advance booking under the “My Trips” section of my account. Since I already have the necessary points, I’ll see a prompt to deduct the points needed for my stay. I don’t need to take any action, however. 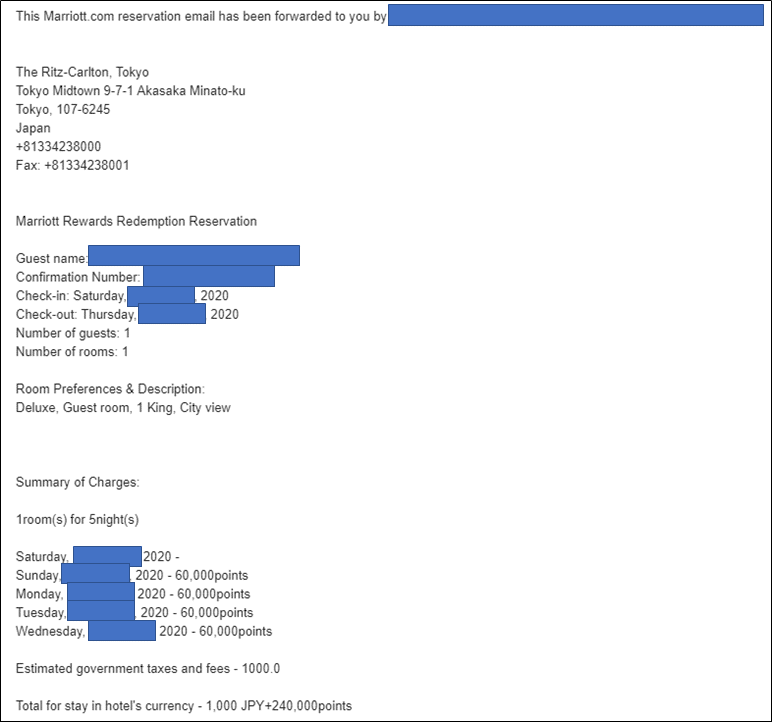 Marriott will automatically deduct the 180,000 points for my three night stay 15 days before my arrival. Note that if I do not have sufficient points in my account, my reservation will expire. Be careful though! 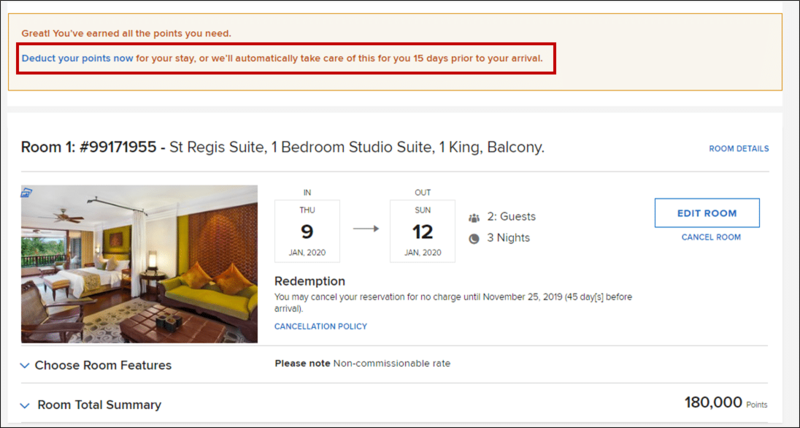 January must be a really busy period for the St Regis Bali, because they’re imposing a 45 day cancellation period. I’m not sure if you’ll be hit with a penalty if you let your Points Advance booking lapse without funding within this window, but I don’t want to find out. Most properties won’t be as restrictive when it comes to cancellation, but best practice is to check carefully. Now here’s where it gets slightly complicated- Marriott’s award prices will change on 5 March, and if you happen to be holding a Points Advance reservation for a hotel that is moving into Category 8 (or up any category for that matter), you’ll need to call customer service to get the certificate redeemed at the old Category 7 levels. Explain to the agent that you have a Points Advance reservation that you now want to pay for, give them the confirmation number and ensure that you’re charged the pre-March 5 prices. You won’t be able to do this online, as the website will try and charge you the new, higher category pricing. 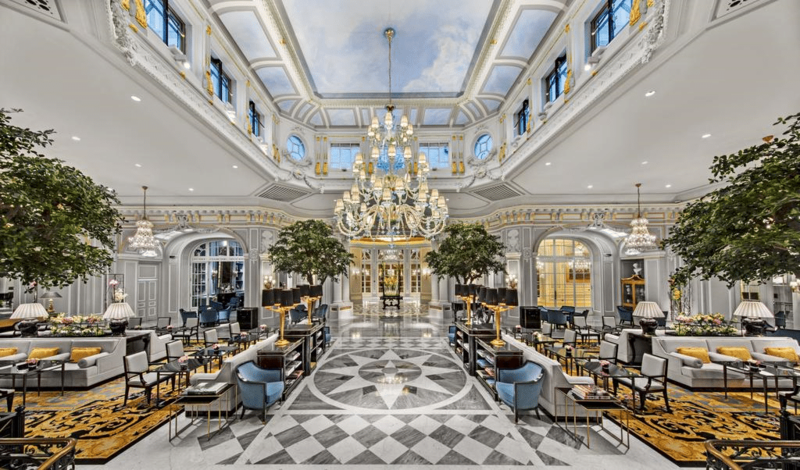 Even though Marriott has confirmed that Points Advance bookings will be honored at the pre-March 5 rates, it doesn’t hurt to get everything in writing in case you encounter a difficult agent who insists on charging you the new prices. 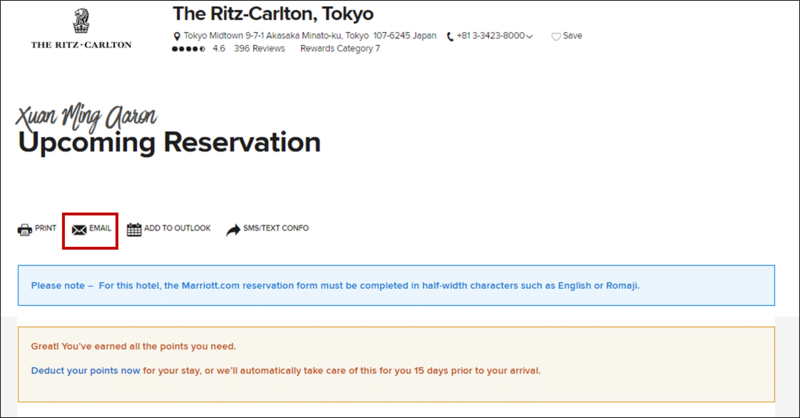 Unfortunately, booking a Points Advance reservation does not seem to trigger any sort of reservation email. The good news is you can manually generate it. Click on the View/Modify button under the My Trips section in your account. You’ll see a summary of your reservation, and an option to email a copy to yourself. Click on it, and you’ll get an email with your rate spelled out in black and white- 60,000 points per night. Keep this handy in case you encounter the odd guai lan agent who insists you need to pay the new 85,000 point prices. Points Advance is a great feature…if everyone doesn’t go out and abuse it. There’s nothing wrong with keeping a reasonable number of reservations to cover several different scenarios (I can’t tell you what’s reasonable, but I can tell you that 20+ bookings is probably unreasonable), but it isn’t fair to other members if you’re hogging space with no intention of staying. Once you confirm your travel plans, do the right thing and cancel the rest of your Points Advance reservations so the award space can be released to other people. Booked one night at St. Regis New York for my Cathay error fare.